Another tax season has officially come and gone. 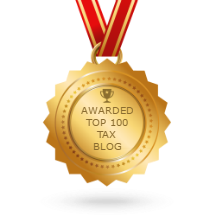 While I still have a couple dozen clients on extension to complete, I wanted to start blogging again. I like doing taxes, but only doing taxes for 12 hours a day, every day for weeks and weeks was starting to make me a little batty. I'm glad to mix it up a bit again. I thought I’d kick things off with my annual tax season post mortem on the 5 biggest mistakes I saw taxpayers making during the tax season. These were either mistakes that were repeated often or mistakes that were so costly I want to ensure they remain very rare. Without further ado, let’s dig in! Several times this year I had clients tell me the military member (stationed in Virginia) was from (pick any state) Montana, but the spouse was a resident of (pick any other state) Ohio. No. That isn’t how it works. In this example, the non-military spouse can be from Montana or Virginia. To be from Montana the non-military spouse must have lived in Montana with the spouse and established residency in Montana before moving to Virginia. There are dozens of details and permutations I have left out of this explanation, but that should cover 90% of the military families I see. Bottom line - as the spouse of a military member you don't have to pay taxes in Virginia if you are from the same state as the military member. Otherwise, you are paying taxes in Virginia. Nearly all married couples file their federal returns jointly. They will often get the most advantageous tax result by doing so. The do-it-yourselfers know this, so they prepare a joint federal return. Then it comes time to file their state taxes. He’s active duty and from Florida, and she is not. They know she has to pay taxes in Virginia, but he doesn’t. Let the battle with the software begin! The states have a variety of ways to handle this situation. Virginia’s solution is that if one spouse is a VA resident and the other is not, then the resident spouse files separately in Virginia - even if they file jointly on their federal return. Most tax software hates that. It will try to steer you toward filing jointly in Virginia. Then his income shows up on the Virginia return and it doesn’t belong there. That’s when people come up with inventive ways to remove the non-Virginian's income from the Virginia return. The fine folks in Richmond have no idea what your state of residency is. They only know that if you put somebody on the Virginia tax return and then invent some creative way to remove that person’s income, it’s wrong. They add it back on and send you a bill. You have to remove the non-Virginian from the Virginia tax return. You can play with your software until you figure it out - a few people have cracked the code on that. (Don't ask me how they did it, though, I don't use that software.) Alternatively, you can paper-file your Virginia return. You can get downloadable forms for free from the Virginia Department of Revenue site. Here is how this one normally goes: Martha earned $20,000 from her primary job during the year. She also started working a second job on nights and weekends, earning $20,000 from that. In addition, she receives $20,000 in pension benefits during the year. Altogether she has $60,000 of income. However, the HR folks at job 1, job 2. and the pension administrators don’t know about each other. As far as they know Martha is only earning the $20,000 per year they are paying her. They are withholding taxes as if her total tax bill is going to be based on $20,000 of income. When Martha comes to see me and I figure her taxes based on the $60,000 she actually brought in, I am likely to find that she did not have enough taxes withheld and she is going to have to write checks to the IRS and VIrginia. Getting your tax withholding right across multiple income streams can be tricky. The IRS online withholding calculator is pretty good at helping you figure it out. Just make sure you have pay stubs from all your income sources and your most recent tax return when you start. It will ask for a lot of data you won’t have at the ready in your memory banks. I only saw this twice, but I hate to see any tax deductions go wasted, so I wanted to address it. Contributions to the Virginia 529 college savings plan are deductible from your Virginia income taxes. Despite this I noted 2 incidents where clients were paying taxes in Virginia and putting money into the 529 plan in another state. Those flimsy, blank receipts you get for donating items to Goodwill, The Salvation Army, Samaritan House, CHKD, DAV, etc. I have a real love-hate relationship with those things. I am glad the government is encouraging re-use of items, that people can get a tax break for donating their items to charity, and that poor people have access to a lot of used items at good prices to help them make ends meet. On the other hand many taxpayers are quite confused as to how to properly claim this deduction. They hand me their blank receipt, but when I ask what they had donated they look downright bewildered. They look at me as if to say, I gave stuff to charity and they gave me this blank receipt. Do something with it! You should take a few minutes and fill that out as soon as it is handed to you. The store isn’t going to fill it out for you. You aren’t going to remember what you donated 6 or 8 months later when it’s time to do your taxes. Take a little time to manage your taxes throughout the year. It is worth it! That's my top 5 for this year. I hope you enjoyed it and there were some useful knowledge nuggets in there for you to use. If you have any questions don't hesitate to contact me. My plan is to write a new article for this tax blog at least once a week. It doesn’t always work out that way. Some interruptions to this plan are predictable. For example, I anticipate my blogging schedule will get interrupted during tax filing season (mid-January to mid-April). But this year the interruptions came earlier than expected. One thing that happened is that all my children came home for Christmas – that was a happy interruption. Time will tell if this something our government accomplished with the new tax laws was a good thing or a bad thing. There were quite a lot of changes in the tax law, and I suspect we will ultimately judge some to be good and some to be bad. But since these changes are in effect NOW, people (like me) who plan tax strategies aren’t too keen on waiting to see how things work out in the long run. We need answers now to be able to plan and make strategies. I have been reading (and reading and reading…) about this new tax law. I have a reasonably good understanding of it now, but there are some things that are just not yet knowable. The IRS has not yet had time to develop rules, forms, and instructions for the implementation of the new laws Congress handed them. The manner in which the IRS implements the changes will have a significant impact on future strategy. Knowing that more is yet to be revealed, I still want to get some practical information about the new changes in this blog. I have received enough phone calls in the past few weeks to know there is an appetite for it. Instead of trying to eat the entire elephant I am going to stick to the issues I think will be of most interest to my clients and readers. These are the topics with which my clients have dealt with, or may need to deal with in the future. So, without further ado, here is my take on the provisions in the new tax law that will likely have the greatest impact on my clients. Remember, these are new rules for 2018. These changes will not impact the tax return you are about to file for 2017. Personal Exemptions are gone. Previously you could subtract around $4,000 for each person you claimed on the tax return. This will no longer be the case starting in 2018. The new law compensates for this change by increasing the standard deduction and increasing and expanding the child tax credit. Increased standard deduction. The standard deduction has nearly doubled. This means that significantly fewer taxpayers will itemize their personal deductions. (This was the ‘simplification’ some politicians spoke of when discussing tax reform.) It is still legal to do either. You may claim the standard deduction or you may itemize your personal deductions. We will do whichever is most advantageous to the taxpayer. The increased standard deduction (coupled with lowered itemized deductions, explained later) means it will now be more advantageous for more people to use the standard deduction. Lower itemized deductions. 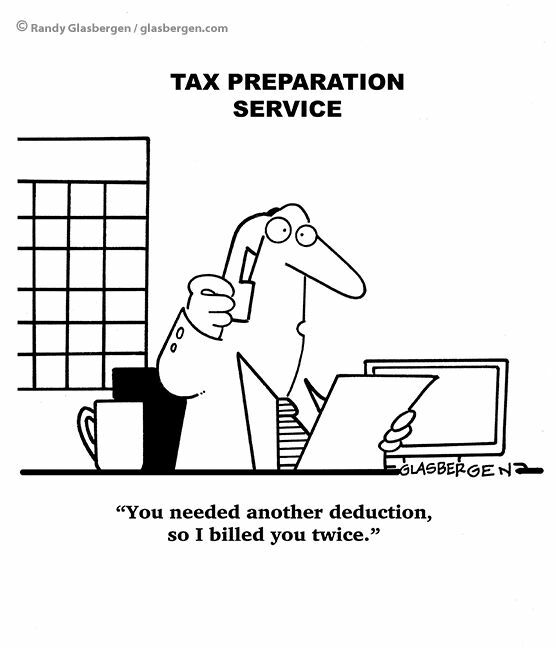 Personal deductions are itemized on Schedule A. Many of the deductible items on Schedule A have been eliminated or limited. Mortgage interest on new mortgages for your personal residence (first and second home) is now limited to the first $750,000 borrowed. (This is down from $1,000,000.) Mortgages existing before December 15, 2017 are grandfathered at the $1,000,000 limit. Interest on home equity loans is no longer deductible just because the loan is secured by your residence. My recently written (and brilliant) article on interest tracing rules should be reviewed. Just be aware that home equity loans and lines of credit are now going to be subject to the interest tracing rules and not exempt from them. No grandfathering provisions were made for existing home equity loans. State and Local Tax Deduction limited to $10,000. These are your state income taxes, real estate taxes, and personal property (car) taxes. The limit for all these taxes combined is now $10,000. There was no limit to this deduction previously, so this will have a fairly significant impact to the people who itemize their deductions. Deductions for unreimbursed employee expenses – gone. Taxpayers used to be able to take deductions for expenses they incurred for being an employee. As I wrote about (again, brilliantly!) just a few months ago, these deductions were subject to a 2% of adjusted gross income (AGI) threshold. There were some exceptions made for military personnel, but these deductions are largely gone now. Expanded 529 Plan Usage. Named for Section 529 of the internal revenue code, state-run 529 programs (such as the Virginia 529 Program) have provided Americans a way to receive tax benefits for saving and paying for college. The new tax law expands the 529 program to allow families to use money in their 529 plan to pay for K-12 education as well. Up to $10,000 per year of 529 money can be used for expenses associated with K-12 education, even at private and religious schools. Bonus depreciation increased to 100% on properties (tangible pesonal property - a.k.a "stuff" - not real property) with less than 20-year useful life. Landlords are frequently dealing with replacing appliances, carpeting, and other items of personal property. In the past this property could not be expensed in the current year, but had to be depreciated and expensed over multiple years. With 100% bonus depreciation real estate investors can deduct the entire cost of many properties. This includes USED property. Previously the bonus depreciation rules were 50% and only applied to NEW property. Note 1 – Buildings have a useful life of more than 20 years and are not eligible for bonus depreciation. Note 2 – This is accelerated depreciation, NOT a pure write off. If you sell the property before it has fully depreciated, you must pay back the excess depreciation expense to the IRS. 20% deduction on pass-thru income. Taxpayers receiving income as pass-thru from another source (Schedule C, Schedule E, a partnership, or an S-Corp) are entitled to deduct 20% of that income before figuring their taxes. Of all the parts of this new tax law this is the topic on which I’ve read the most, but understand the least. Along with phase outs for the deduction, there are also multiple ways to calculate it. Strategizing on this new tax break situation is also going to depend heavily on the IRS implementation rules – which we will not see for months. For now the best I can tell you is the deduction is there, I think it will be helpful in reducing taxes for some people, and I am waiting for additional information before I recommend a strategy to capitalize on this new tax provision. That’s where I am going to stop. It’s already a lot to process, and I am just scratching the surface of the tax law changes. The actual document is 1097 pages long, so it will take a lot of smart people a long time to fully digest it. Fortunately, we have a year to ease into the changes. If new strategies arise during the year you can expect to hear from me. If you have questions, please contact me or ask during your tax prep appointment. I look forward to seeing you this year! Tax reform is in the news lately, and I have fielded more than a few questions about the anticipated impacts of the current proposals. I usually try to side-step the question. While I spend a lot of time analyzing tax laws I try not to spend too much time analyzing tax bills. I can’t predict what our government is going to do, and I don’t find a lot of value in trying to figure it out in advance. Hopefully you aren’t too distressed by that. If you are, look at it this way - if I could accurately predict what the government was going to do with tax laws and how that would impact each individual tax situation, you could not afford me. Unless the states scramble to change their own laws, both of those changes at the federal level will have significant impacts on state income tax returns. Let’s look at the impacts they would have on a Virginia income tax return. If you’re in another state, you may be able to use this discussion to determine if it will apply to your state’s income taxes as well. Virginia is what we call a ‘conformity state’, meaning many of the tax laws in Virginia conform to federal tax law. The first line on a Virginia income tax return is “Federal AGI”, which is line 38 from your federal form 1040. That means that everything the federal government counted as income, and everything the federal government counted as an adjustment to income is embedded in the first line of your Virginia income tax return. There may be subsequent additions or subtractions to your federal adjusted gross income to calculate your Virginia adjusted gross income, but they start from the same point because Virginia conforms to federal tax law unless the Virginia code expressly stipulates otherwise. Let’s look at the personal exemptions issue. Virginia currently allows you to take a $930 personal exemption for each person listed on your tax return - you, your spouse, and your dependents. The Virginia definition of ‘dependent’ (for tax purposes) conforms to the federal definition of dependent. If the federal personal exemptions go away, how and where are dependents going to be defined for Virginia tax purposes? If you don’t need to enter dependent information for your federal return, is Turbo Tax going to ask you for that information for your state return? Will personal exemptions on Virginia tax returns also need to be eliminated if the federal personal exemptions are eliminated? To compensate for the loss of personal exemptions, the federal bills double the standard deduction. There is no bill pending in Virginia to double the standard deduction. If the Virginia personal exemption goes away, Virginia taxable income goes up. Under Virginia law, if you claim the standard deduction on your federal return, you must claim the standard deduction on your Virginia return. If you itemize deductions on the federal return you must itemize deductions on your Virginia return. With the doubling of the federal standard deduction, many more taxpayers will elect to use the standard deduction on their federal return. That means they will be forced to use the standard deduction on their Virginia return. One of the stated intentions of tax reform is to simplify filing for Americans. I don’t see that happening in the short term if you are required to file a state income tax return. State legislators will undoubtedly move to adjust their state tax laws once the federal tax law is settled. That strikes me as something that will likely take a few years to sort out. That means we are likely looking at a few years of changes before things settle down again and people know the most advantageous way to file. If greater income tax simplicity becomes a reality down the road, then it may be worth the temporary increase in chaos, but I think temporary increase in chaos is inevitable with this iteration of tax reform. There are too many moving parts and interactions between Virginia law and federal law, and the impact to state returns does not seem to have been fully analyzed. I am not advocating for or against the federal income tax proposals currently making headlines. I just wanted to point out that tax simplification is not a simple process. All tax software, including my rather expensive professional version, starts with the federal tax return and then uses the data from the federal return to populate the state tax return. If there is a disconnect between federal and state law I expect to see more people in my office this year who have completed and filed their federal tax return, but need help with their state return(s). Hopefully I am wrong. Time will tell. If you need help with your taxes, please contact me. If you worked under a job covered by Social Security, but were then injured and unable to work for a year or more you may qualify for Social Security Disability payments. These payments can sometimes be the difference between solvency and insolvency for those who need them, but they can also cause tax complications. Nothing is easy when it comes to government programs, right? Social Security Disability Benefits are sometimes taxable, but sometimes not taxable. To further complicate things, there is such a backlog of claims your first payment might cover more than one year of benefits. If you were injured and applied for benefits in 2017 you might not receive any benefits until 2018, at which time you could receive a lump sum payment for benefits going back to the date you were injured. Under the tax code you generally pay taxes on money when it is received, so you could have a tax problem in the year you receive a large lump sum. There is a way to fix a tax problem created by Social Security lump sum payments, but you must know the fix exists and how to use it. There is a provision known as Section 86(e) allowing you to elect to have the portion of the Social Security Benefit received for a prior year to be taxed as it would have been if it had been received in that prior year. You don't have to go back and amend that prior year return, you just have to calculate the tax as it would have been calculated on that return. This can provide a very nice tax benefit when it's needed. Let’s look at an example situation to take a closer look at how the problem develops and how it gets resolved. John works in a job covered by social security. His wife Jenny is a school teacher, but their financial plan is for Jenny to take a few years off work to stay at home with their infant son. She may even stay out of work longer to have more children. Then life happens...in January 2016 John is injured. His doctor says he will not be able to work for at least a year, possibly longer. John applies for Social Security Disability Benefits. Throughout 2016 John is unable to work. He is also unable to provide adequate care for their son on his own. Jenny stays at home to care for them both. They burn through their savings, but they make it. By early 2017 John is strong enough to look after their son, so Jenny goes back to work as a teacher, earning $48,000 for the year. In July 2017 the Social Security Administration approves John’s application for disability benefits and pays him $15,000 to cover the period back to the time of his injury. $10,000 of this amount is for 2016, and $5,000 is for 2017. For the remainder of 2017 John receives disability benefits totaling an additional $5,000. In 2016 John was recovering and Jenny was taking care of her husband and son. They had very little income that year. If they had received $10,000 of the Social Security disability benefits during 2016 as they should have, they would not have to pay income taxes on any of it. But they didn’t receive it in 2016, they received it in 2017. In 2017 Jenny earned $48,000, so now 85% of the $20,000 Social Security benefit received in 2017 ($17,000) could be exposed to taxation. There is a fix for this in Section 86(e) of the Internal Revenue Code, commonly called the “Lump Sum Election”. This allows the taxpayer to calculate the tax on the Social Security as it would have been calculated had it been received in a timely fashion. In our example, if John and Jenny had timely received the $10,000 of 2016 Social Security Disability benefits, that $10,000 would have been taxed at 0% (or, rather, it would not be included in taxable income). Therefore, they can claim a Lump Sum Social Security Payment Election under Section 86(e), and get the 2016 tax treatment on that amount on their 2017 tax return. On their joint tax return John and Jenny will put the full amount ($20,000) from the 1099-SSA on line 20A. On line 20b (the taxable amount of their Social Security benefits) they will put $8,500. They arrived at $8,500 using worksheets in IRS Pub. 915. Essentially, they take the 2016 rate times the 2016 amount and add it to the 2017 rate times the 2017 amount. The 2016 rate was 0% times $10,000, plus the 2017 rate of 85% times $10,000. The IRS has never issued guidance on how to formally make the Lump Sum Election, so taxpayers are advised to include a statement with their tax return indicating they have chosen the Lump Sum Social Security Benefit Payment Election Under Section 86(e). You may even want to show the math used to come up with the amount taxable you include on line 20b. Be advised the election is not required. It is permissible to treat the entire lump sum as received in the current year if that is more advantageous to you. For example, if Jenny was still working in 2016, but not working in 2017, it would be more advantageous for them to pay the 2017 rate on the entire lump sum. In this situation, they would NOT elect to use Section 86(e) to apply the 2016 tax rate to part of the lump sum payment from Social Security. Section 86(e) is one of those strange aspects of tax law that is highly useful, but not widely known. Most people never have to use it and virtually no one ever uses it more than once. It can save you quite a bit at tax time, though, if you can apply the Lump Sum Social Security Benefit Payment Exclusion to your advantage. 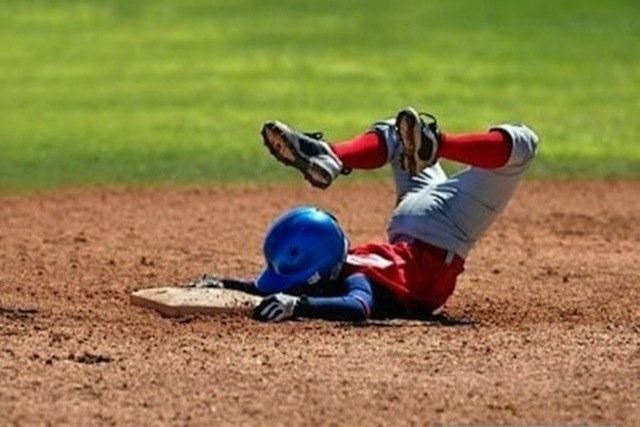 If you find yourself in that position and you’re stuck, give me a call. If you know someone who received a large Social Security Disability payment covering multiple years, send them a link to this article. It might be very valuable to them! 1. 529s are one of the few tax-advantaged higher education programs in which room & board is a qualified higher education expense. That’s good news if your child might eat or sleep at some point during their time at the university. I don’t know what planet our lawmakers are from when they don’t consider room and board necessary expenses for other college tax breaks. It was a significant chunk of what we spent on our children’s college educations, and we were glad we had the 529 plans in place to help us cover it. 2. Anyone can use the 529 plan. Most of the other tax breaks available for college have income limitations. Earn too much and you can’t take advantage of the program. Not so with the 529 plans. There is a limit to how much you can contribute, but there is no income barrier to participation. 3. Even if you don't plan far enough ahead to take advantage of the tax-deferred growth in a 529 plan, you can still get a tax break for your contribution by using the Virginia College Wealth program and running your education funds through a Virginia 529 account in the same year you make the payments. It's a nifty little loophole anyone can use. As easy as Virginia 529 makes it to save for college, some mistakes can be made when you withdraw that will negate the great advantages you received for using a Virginia 529 plan. You can end up with a tax penalty if you aren’t careful. You can even wreck your eligibility for other (more valuable) college benefits. 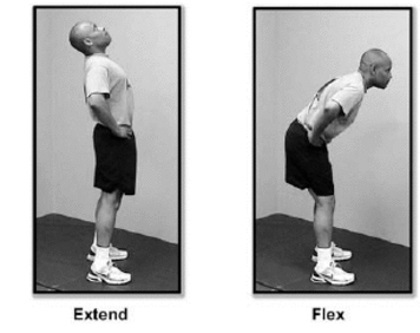 Here are 4 mistakes I see, and how to avoid them. 1. Using a 529 from a non-parent early in the student’s education. This is how this scenario frequently unwinds: Grandparents have a 529 for the student they started when they initially became proud grandparents. Now it's time for freshman year and Grandma and Grandpa take money out of the 529 and give it to the family to help with college expenses. That is unbelievably thoughtful and sounds wonderful, but it can have somewhat dire unintended consequences. Why? Because needs-based federal student aid is concerned with parent’s money and student’s money – and student’s money counts nearly 4 times as much as parent’s money when calculating eligibility for student aid. When Grandparents take money out of a 529 for a student, that counts as student money for federal student aid purposes. The grandparent’s helpfulness could get overshadowed by the student aid that gets lost as a result. The solution here is to wait until the student’s junior year to tap into grandma and grandpa’s 529 money. There’s a built-in lag in income reporting to student aid. By the time the student aid folks are told about the grandparents 529 money, the student should be through their senior year. 2. Withdrawing money too early from the account. Here’s the scenario: You know the school is going to bill you on January 10th, so you withdraw money from your 529 plan on December 22nd so the money is ready and available when the bill arrives. Makes perfect sense, and you should be rewarded for being so prepared and organized. Except the IRS isn’t always concerned with what makes sense, or how this fits your personal method of organizing. Money withdrawn from a 529 in 2017 must be used to pay for college expenses in 2017. January is in 2018, so you can’t apply that 2017 withdrawn money against the 2018 college bill and keep it tax free. The solution here is to wait until January to make the withdrawal for the January bill. You could also elect to do what we did, and withdraw from the 529 plan on a reimbursement basis. We would pay the college bills from current operating monies and then reimburse ourselves from the 529 after the fact. This had the added benefit of making our withdrawals more precise. We knew exactly how much we had spent on room and board by the time we made the withdrawal. 3. Withdrawing money to cover travel, commuting, and parking. As generous as the 529 plan is, there are still things that just aren’t covered. Travel, commuting, and parking are common expenses that are not allowable as qualified higher education expenses for the 529 program. There is no solution for this. Plan ahead for these expenses, but not with your 529 money! 4. Assuming the 529 is only good for room and board if the student lives on campus. Every once in a while, I’ll find someone who believes you can only use the 529 money on dorm fees and pre-paid meal plans. It just isn’t so. You can use your 529 money for room and board off campus. The limitation is that you cannot claim a greater expense than what it would cost to put them in the dorms and buy the meal plan. If you want to put your son or daughter in the Ritz Carlton for a semester and let them eat caviar, knock yourself out. But...the most you can claim as a qualified higher education expense on your tax return is the same as it would cost to house and feed them on campus. There isn’t a solution needed for this. Just be aware the student can live off campus and still use the 529 money. Also, be aware that it’s usually easier for me to take the posted on-campus rates from the university when I am calculating education expenses than it is for me to look at actual expenses. 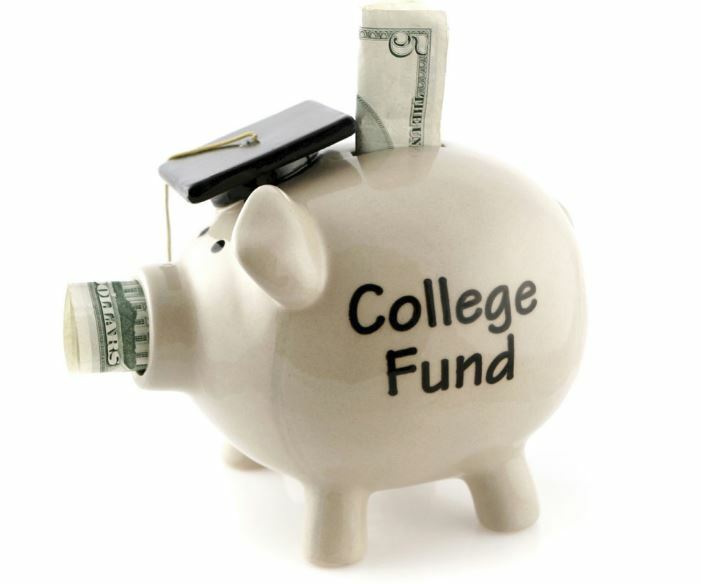 The Virginia 529 plan is a great way tosave for college expenses. This is especially true if you know your student is going to be living on or near the campus. The important thing to remember is that you can accidentally make things worse with your 529 account if you aren't careful. When in doubt you should call me first. Readers should be aware the tax law signed buy the President on 22 December 2017 made this article obsolete. I leave it here for continuity and posterity. As advertised last week, this week’s blog is about the ‘certain’ miscellaneous deductions you can take on Schedule A if you itemize your tax return. 'Certain’ miscellaneous deductions are subject to a “2% limitation” – meaning your deductions in this category must exceed 2% of your adjusted gross income (AGI) before they start to actually influence your taxes. 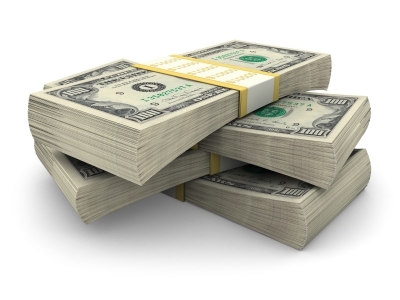 Unreimbursed Employee Expenses are also subject to the 2% rule. Fortunately, Unreimbursed Employee Expenses and ‘Certain’ miscellaneous deductions are added together, so it makes it a bit easier to get above that 2% threshold to be able to get a deduction. For example, Shawn is employed as an auto mechanic, and his 2017 AGI is $50,000. Like most auto mechanics he must bring his own tools to the job. Shawn spends $800 on tools in 2017. Shawn also has $900 of ‘certain’ miscellaneous deductions in 2017. Shawn’s combined Unreimbursed Employee Expenses and ‘Certain’ miscellaneous deductions is $1,700. 2% of Shawn’s AGI is $1,000 (.02 X $50,000). Therefore, Shawn can deduct $700 – the amount by which his combined Unreimbursed Employee Expenses and ‘Certain’ Miscellaneous Deductions exceeds 2% of his AGI. Appraisal fees for a casualty loss or charitable contribution. Self-explanatory. If you have something appraised to claim it as a tax deduction, you can deduct the fee paid for the appraisal. Casualty and theft losses from property used in performing services as an employee. While casualty and theft losses are deductible elsewhere on Schedule A, it may be more beneficial to take the deduction here if it was property used in the production of income. It can be added to other ‘certain’ miscellaneous deductions (and unreimbursed employee expenses) to help propel you over the 2% threshold. There is also a $100 per incident subtraction if the loss is claimed on the regular casualty and loss form - form 4684. Clerical help and office rent in caring for investments. If you have investments generating taxable income and you need to rent office space or pay for clerical help to manage them, you can deduct those expenses. Credit or Debit Card Convenience Fees for Paying Your Tax Bill. Both the IRS and Virginia will charge you a ‘convenience fee’ for using your debit or credit card to pay a tax bill. That fee can be deducted from your taxes. Depreciation on home computers used for investments. If your home computer is helping you earn taxable income, you can claim a depreciation expense for it as a ‘certain’ miscellaneous deduction. Excess deductions (including administrative expenses) allowed a beneficiary on termination of an estate or trust. If an estate’s total deduction in it’s final year exceed its income, the beneficiaries can deduct the excess losses on their individual returns. Fees to collect interest and dividends. If you pay a broker or similar agent to collect interest or stock dividends for you, it can be deducted here. Note, this does not include the fee to buy or sell securities. That fee is used to adjust your capital gain or loss. Hobby expenses, but generally not more than hobby income. If you have a hobby that generates income you can deduct the expenses of that hobby up to the amount of income it generates. Indirect miscellaneous deductions from pass-through entities. If you are a member of a partnership, S-corporation, or a non-publicly traded mutual fund, you can deduct any passed-through deductions as miscellaneous deductions subject to the 2% limit. Investment fees and expenses. You can deduct investment, custodial, and trust administration fees you pay for managing your investments that produce taxable income. Legal fees related to producing or collecting taxable income or getting tax advice. If your legal fees are for income from your business, real estate investments, or farm, then it is better to deduct those as business expenses on the appropriate Schedule C, E, or F. However, if you received legal tax advice on a personal matter, such as your divorce, you can deduct it here. Loss on traditional IRAs or Roth IRAs, when all amounts have been distributed to you. If you take a full distribution from your IRA and the amount you have recovered is less than the amount you contributed, you can deduct the losses on Schedule A.
Repayments of income. Repayments of taxable income received in a previous year of up to $3,000 are deductible, but subject to the 2% limit. Repayments of social security benefits. If your repayments to SS in a tax year exceed the benefits received, you can deduct the net repayment from your taxes. Safe deposit box rental, except for storing jewelry and other personal effects. The rental of a safe deposit box is only tax deductible if you are using it to store documents related to the production of income. Service charges on dividend reinvestment plans. If you are a subscriber to a dividend reinvestment plan, you can deduct the service charges you pay to the plan for holding shares, reinvesting dividends, and keeping your records. Trustee's fees for your IRA, if separately billed and paid. The ordinary and necessary fees you pay to an IRA trustee are deductible if they are billed separately. This would normally apply to someone using a self-directed IRA. That’s a rather long list, but if you worked your way through it you may have noticed a theme. These deductions are nearly all related to the production of income. The tax code our government has implemented would like to generously provide you with a tax break if you are trying to produce additional taxable income. As long as you exceed the 2% of AGI threshold, of course. That 2% of AGI threshold is why I rarely get excited about ‘certain’ miscellaneous deductions (or unreimbursed employee expenses). A common scenario I deal with each year is a tax client asking me if they can deduct the $60 they spent on investment fees. The technical answer is ‘yes’, but in reality that $60 is never going to get over the 2% of AGI threshold, so even though we can record it as a deduction on your tax return, you are not receiving any benefit for it. When I do get excited is when the deductions have exceeded the 2% threshold. That’s when clients probably feel like they are getting the third degree from me as I start asking additional questions, trying to unearth some additional ‘certain’ miscellaneous deductions. Hopefully, I explain everything sufficiently, so nobody thinks I am just sticking my beak into their business! I’ll finish this ponderous post as I frequently do – with a reminder that taxes can be complex and confusing. Whenever you have any questions you can contact me. Don’t overpay your taxes because you are afraid to ask for help! The first thing you’re probably wondering is what’s the difference between certain miscellaneous deductions and other miscellaneous deductions? You probably suspect there is a reason the IRS calls them different things, but you don't know why. (You're right about that, of course.) The difference is that certain miscellaneous deductions must clear a 2% of AGI (adjusted gross income) threshold before they start to make a difference on your tax return. Lines 25-27 are actually for calculating your 2% of AGI threshold and seeing if you have enough cumulative certain miscellaneous deductions in excess of the 2% of AGI threshold. Other miscellaneous deductions do not need to clear a 2% of AGI threshold before they start having an impact on taxes. Their effect is immediate. You just need to total your other miscellaneous expenses and record them on line 28. There are fewer other (not subject to the 2% limitation) miscellaneous itemized deductions than certain miscellaneous itemized deductions. I will list the other (no 2% limit) miscellaneous deductions here and provide a brief explanation of each. I will do the same for the certain (subject to the 2% limitation) miscellaneous deductions in a subsequent article. Casualty and theft losses from income-producing property. You can deduct casualty and theft losses for which you do not receive insurance compensation on your tax return. (We saw this quite a bit after Hurricane Matthew. Tax payers down in Houston and Florida are going to be dealing with this a lot this coming spring.) Normally this deduction is subject to the 2% rule. 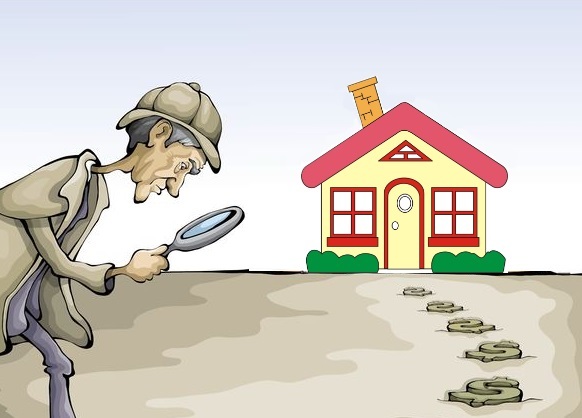 However, if the lost or damaged property was income producing property, then there is no 2% rule for the deduction. Impairment-related work expenses of persons with disabilities. If you have expenses for special equipment or services to enable you to work, those expenses are deductible on your tax return. The example the IRS uses is their manual is that you have a job that requires reading, but you are blind. You hire the services of a reader to assist you at work. The expenses associated with the reader are deductible on your tax return. 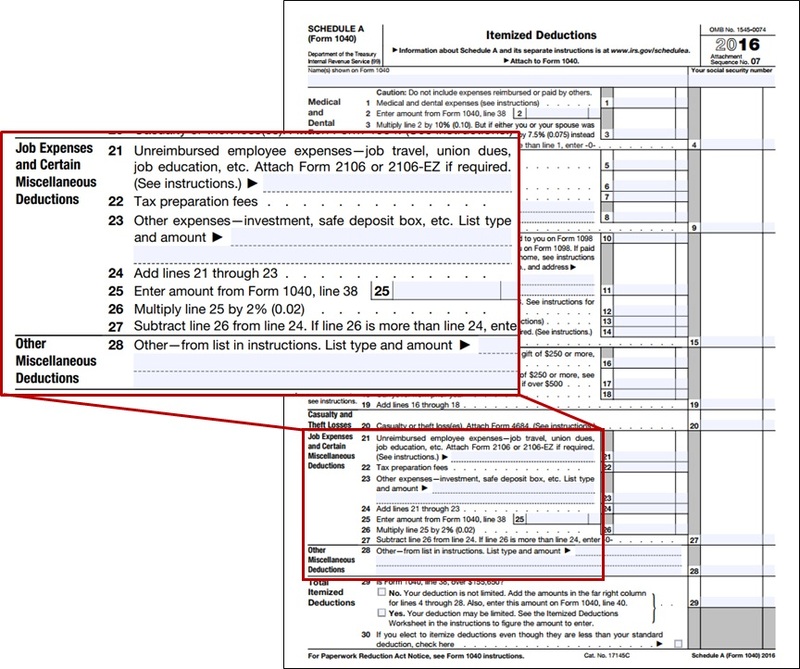 Loss from other activities from Schedule K-1 (Form 1065-B), box 2. Form 1065 is a partnership return. Losses from partnerships are frequently, but not always, passive losses. Passive losses are reported in box 1 of the K-1, and are subject to passive loss limitations. Box 2 is for losses from other (non-passive) activities. These are not subjected to passive loss limitations, so they are deducted on Schedule A. Losses from Ponzi-type investment schemes. If you were the victim of a Ponzi scheme you can deduct those losses on Schedule A of your tax return. Repayments of more than $3,000 under a claim of right. As an example – you were paid $50,000 for a job in 2015. You claimed that money on your 2015 income tax return and paid taxes on it. You were subsequently sued because the person who hired you didn’t like the quality of the work you did. The court orders you to repay this person $30,000. Since you had already paid taxes on this money back when it was received you can deduct it from your taxes when you pay it back. Unrecovered investment in an annuity. Another one that needs an example. Dan worked for Acme Company for 40 years. He participated in the Acme pension plan by contributing $1,000 each year toward his pension. When Dan receives his pension (annuity) the portion of the pension that was his own contribution to the plan is tax free. Dan receives pension payments from Acme, but when he dies he has only collected $2,000 of the $40,000 ($1,000 per year for 40 years) he had contributed. Acme must pay out the other $38,000 to Dan’s estate. This amount is then deducted on Dan’s final Schedule A as an unrecovered investment in an annuity. Taxes can be complex and confusing. If you run into a situation that may have bearing on your taxes, it’s probably best to get a professional involved. You can always contact me with your questions or concerns.